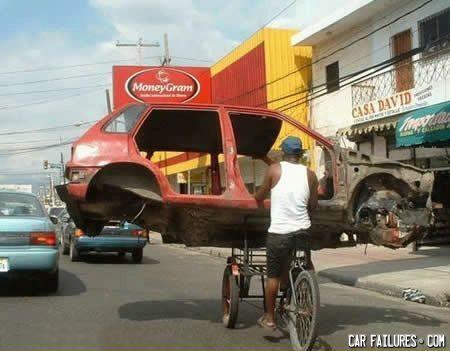 He probably will make good money in scrap for that and is seen going to the yard. Score for the poor! One strong motha-f'n cyclist. Win. And we thought stealing bikes was bad. Obviously photoshopped. That frame probably weighs 500 pounds.